Reese Stigliano, a 35-year veteran in the South Florida Commercial Real Estate market, is pleased to announce the first transaction under his new company, Stigliano Commercial Real Estate. Stigliano represented the seller, The Elsie M. Lanier Revocable Trust, in the sale of a 4.36-acre parcel of vacant land located at 1200 NW 31st Avenue in Pompano Beach, FL. The parcel was formerly used as famland by the Lanier’s, who were pioneers in Pompano Beach and owned the land for over 70 years. The parcel sold for $1.25 million or $6.58 per square feet. There were some significant hurdles to overcome in the sale. The area has seen significant development recently including a $42-million new residential development called the Residences of Palm Aire which is less than a quarter mile away. But issues with drug activity and the homeless created intense challenges. Stigliano’s tenacity was tested during the sale of this parcel. The selling entity was a family trust with several trustees and beneficiaries, all represented by individual attorneys. One of the beneficiaries is currently incarcerated in a state penitentiary which made getting original documents signed very complicated and time consuming. 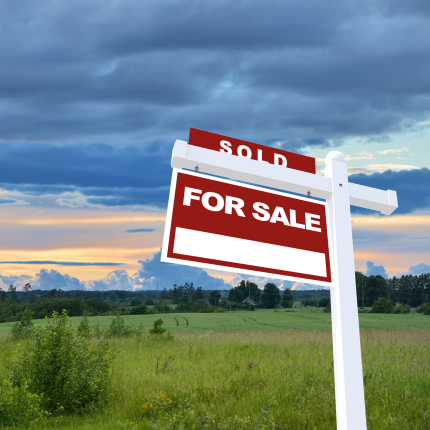 Prices of vacant land in general in Broward County have increased significantly. “We final got to a point where the land price rose to the owner’s expectation. Vacant land has increased an average of 15-20% in the last two years,” explained Stigliano. The Buyer of the land is MLEF 1-2, LLC, an entity managed by Aventura, Florida-based Mas Development Corporation. Mas Development plans on building approximately 50,000 square feet of small bay warehouses on the site.